Winner of Best Pizza in Algonquin and Lake in the Hills! Sal's Pizza Company has been able to serve its customers for over 40 years. They have decided to bring their amazing menu plus restaurant and bar to Huntley. 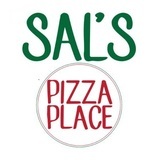 Whether it’s fine quality pizza, Italian dinners, or a place to sit down and enjoy it all, Sal’s Pizza has you covered. Call (847) 669-1611 to place an order for pickup or delivery. This pizzeria delivers to Huntley and Lake in the Hills.